Friends of Manzanar is a volunteer organization comprised of men and women committed to educating others about the World War II experience of Japanese Americans. After the outbreak of the war,120,000 persons of Japanese ancestry, two-thirds of them American citizens, were confined in America's concentration camps. 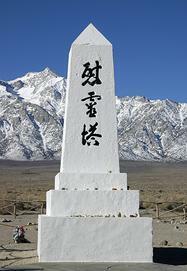 Manzanar, located in California between the towns of Independence and Lone Pine, was one of ten such camps. The National Park Service operates Manzanar National Historic Site, where the restored camp auditorium now houses an Interpretive Center featuring 8,000 square feet of exhibits, audio-visual programs, and two theaters. The Interpretive Center stands not only as an educational resource but also as a symbol of tolerance and understanding. Friends of Manzanar works to support efforts to enhance Manzanar National Historic Site, such as the restoration of two barracks buildings and reconstruction of the mess hall and accompanying interpretive work. 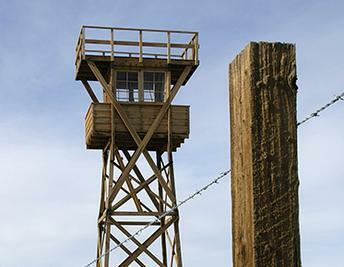 When completed, the interpretive work inside the two barracks buildings and mess hall of Block 14 will allow visitors to step back in time and imagine what it must have been like for the men, women, and children inside Manzanar during those uncertain times. We need your help to create and sustain this unique and worthwhile endeavor. Click here to learn more about our educational mission. On behalf of Friends of Manzanar (FOM), we are asking you to consider making a gift to help preserve the stories and artifacts that deepen our understanding of the World War II experience of Japanese Americans. FOM works in cooperation with Manzanar National Historic Site (MNHS), its leadership, and staff to raise funds to be applied toward expanding and enhancing the educational value of the National Park Service site for students, educators, and other visitors. Last year, thanks to the many individuals who donated to FOM, we proudly presented MNHS with $80,000 to help replicate the former camp latrine, and the result is amazingly authentic. Now more than ever, the significance of what happened nearly 75 years ago is resonating for new generation. The renewed interest is evident in the increased the number of MNHS visitors. This year, over 100,000 visited the site from all over the world. We ask you once more to contribute toward preserving and sharing the lessons of Manzanar. Your gift, no matter how small, will help advance this effort. 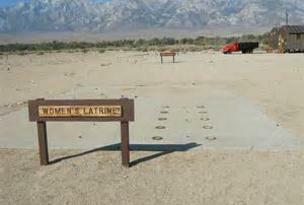 Two years ago, Manzanar National Historic Site embarked on an ambitious project to replicate the men’s and women’s latrines that once were part of the wartime camp. Today, the project is a reality. Replicated structures augment and expand the existing National Park Service MNHS interpretive experience. 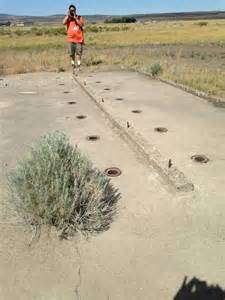 They help all who visit there understand, in a very meaningful way, one of the indignities endured by 120,000 Japanese Americans unjustly incarcerated in the 10 War Relocation Authority camps that existed from California to Arkansas during World War II. 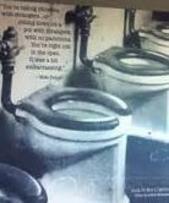 With your support, Friends of Manzanar was able to contribute $80,000 toward replication of the latrines. We turn to you once more as we focus on further improving the site and share the lessons embodied in the events that comprise our nation’s history. Your generous gift will help ensure that Manzanar National Historic Site’s educational mission continues for the benefit of all Americans for this and future generations. 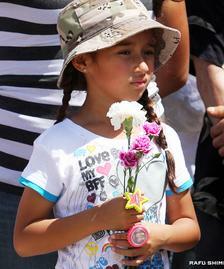 Donations are tax deductible to the extent allowed by law and may be made by clicking here. (Left) Remains of latrine foundation; (center) sign identifies where Block 14 latrine was located; (right) commodes were built in close proximity.